Do you ever get the hankering to just spend a whole weekend shopping your lil heart out? 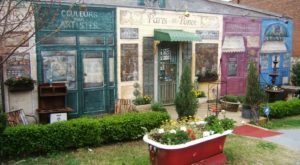 Naturally, this is common practice for those who love a good Georgia antique hunting experience, but what about those who want to step outside of the antique box and thrift shop instead? 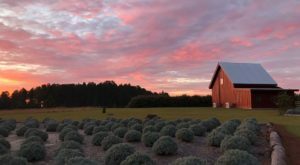 Turns out Georgia has quite a few wonderful thrift stores for the bargain hunters in us all, and we’ve turned it into a comprehensive and cool road trip experience. 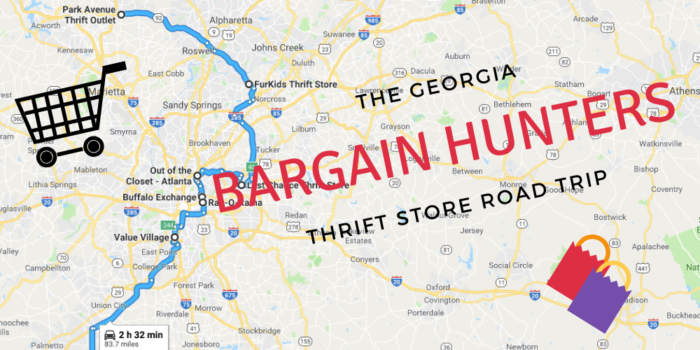 The entire Bargain Hunters road trip in Georgia takes about 2.5 hours, not including shopping time. So, you can ultimately make an entire weekend out of it, or simply spend a day shopping ’til you drop. To check out the entire route, click here. Park Avenue Thrift in Woodstock, Georgia is a HUGE outlet location that is always impeccably stocked. If you happen to visit on a particular day of the week where they are having their huge sale, then every item in the store will be $0.25. Thrift connoisseurs know that you just can’t beat those prices. The address for Park Avenue Thrift is 9740 Main St, Woodstock, GA 30188-3900. Furkids Thrift Store is an experience to say the least. 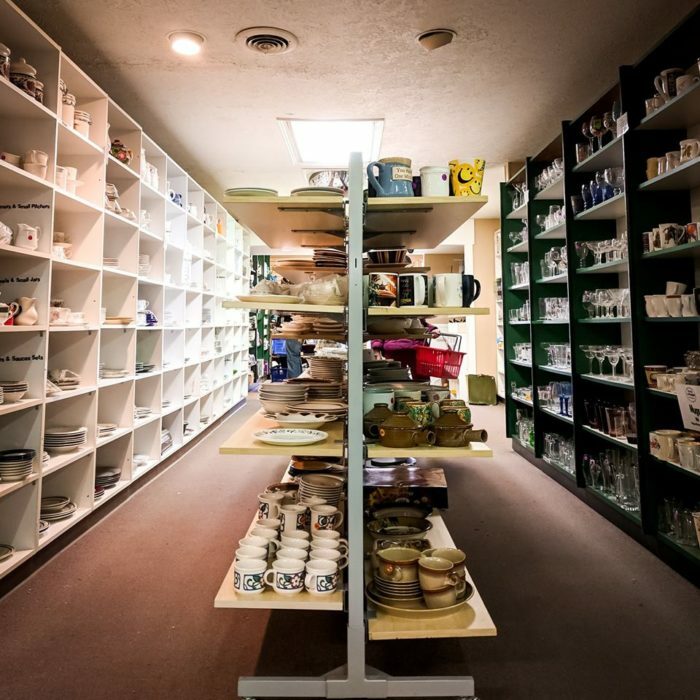 Not only do you get to peruse a vast selection of gently used items at this thrift, but all proceeds benefit the programs of Furkids animal shelter. And if you just so happen to see a furkid sleeping on some of the thrift items in the store, just make sure to snap a pic. 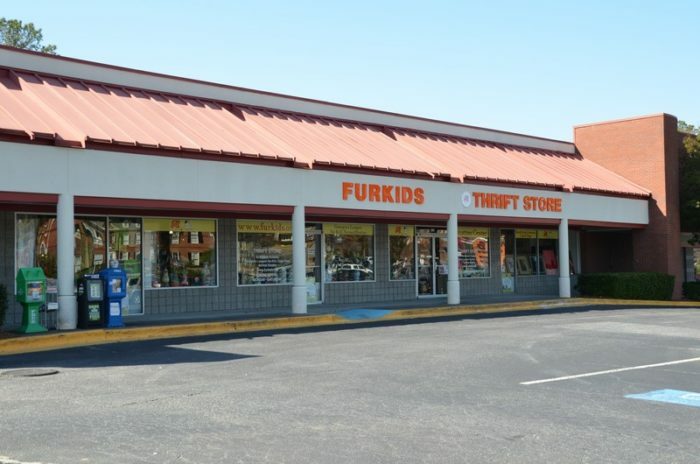 The address for Furkids Thrift Store is 4015 Holcomb Bridge Rd #400, Norcross, GA 30092. Last Chance Thrift Store is so much more than clothing—although, they do have a pretty darn good collection of clothes. This is the type of thrift store where you can walk away with a brand new wardrobe, and also a brand new piano. You never know what you’ll find perusing these shelves. 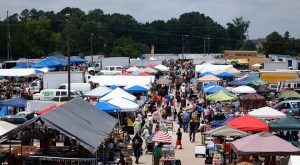 The address for Last Chance Thrift is 2935 N Decatur Rd, Decatur, GA 30033. For thrifters who are looking for a mix of funky, eclectic clothing that you can’t find just anywhere, then Out of the Closet is the place to go. 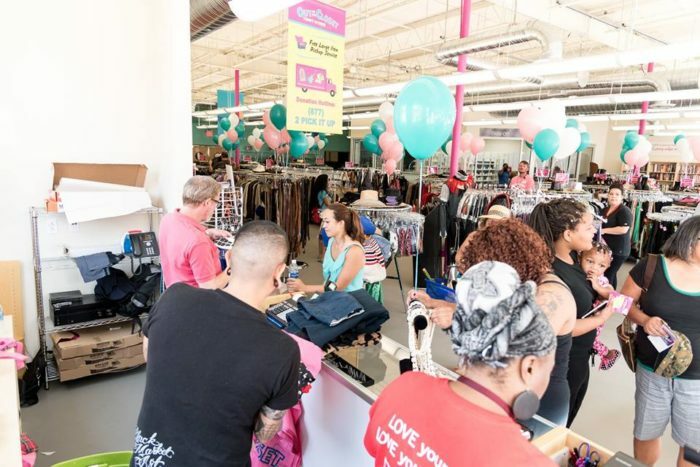 This discount clothing store was founded in California in 1990 and has opened locations all throughout the country since. The address for Out of the Closet is 1858 Cheshire Bridge Rd NE, Atlanta, GA 30324. 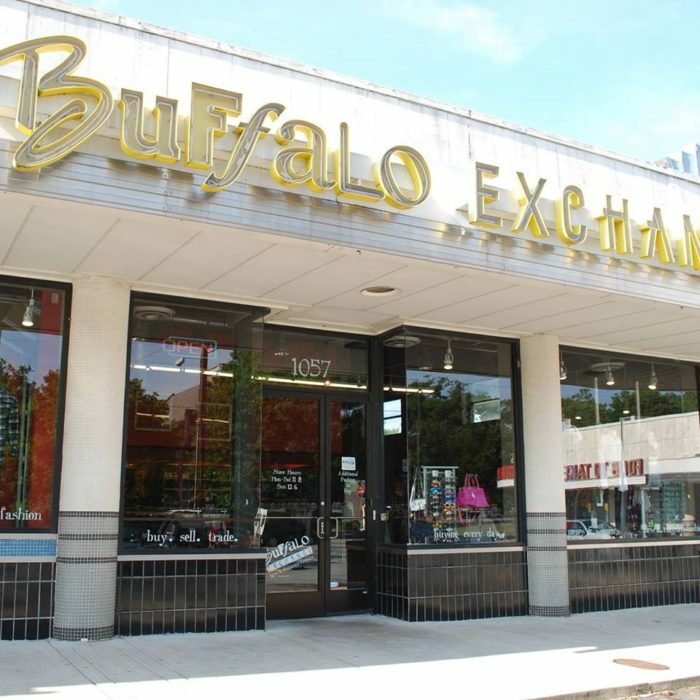 Buffalo Exchange is the type of thrift and consignment shop where you can easily spend hours. There are always new and exciting items throughout the store, rotating frequently. You can shop your heart out here, but you can also sell and trade any items that you’re looking to let go of, too. 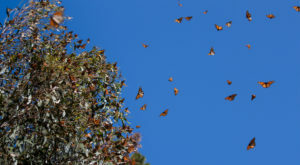 The address for Buffalo Exchange is 1057 Ponce De Leon Ave NE, Atlanta, GA 30306. Rag-O-Rama is a funky and fun thrift store that focuses on current, classic, and vintage styles for both men and women. 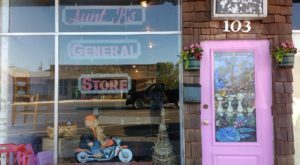 Perusing this store you’ll find an eclectic mix of items, including one-of-a-kind gems, plus hats, wigs, costumes, jewelry, handbags, and more. 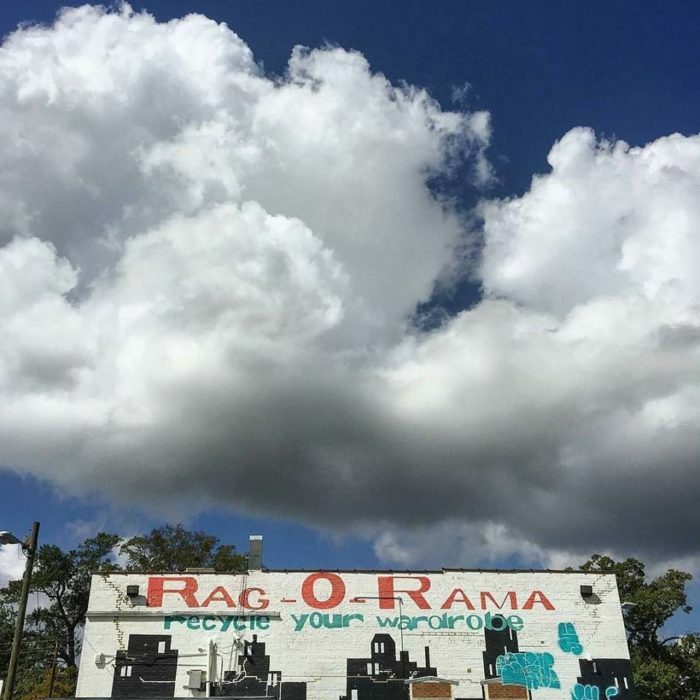 The address for Rag-O-Rama is 1111 Euclid Ave NE, Atlanta, GA 30307. Of course, it wouldn’t be an Atlanta bargain hunters road trip without a stop at the largest thrift department store in the city. 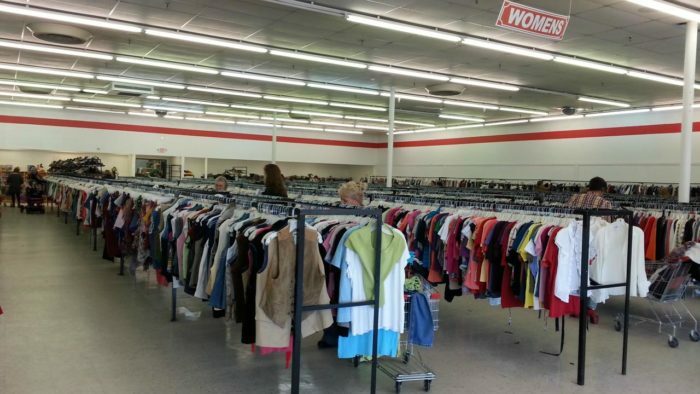 Value Village Atlanta has 11 different locations to choose from, all with a unique collection of clothing and other items. Heck, we could've made a road trip out of Value Village's locations only! 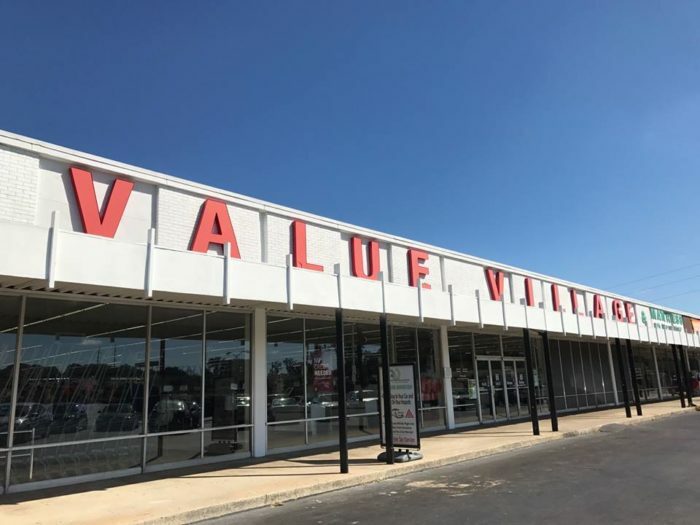 The address for Value Village Thrift is 1899 Metropolitan Pkwy SW, Atlanta, GA 30315. 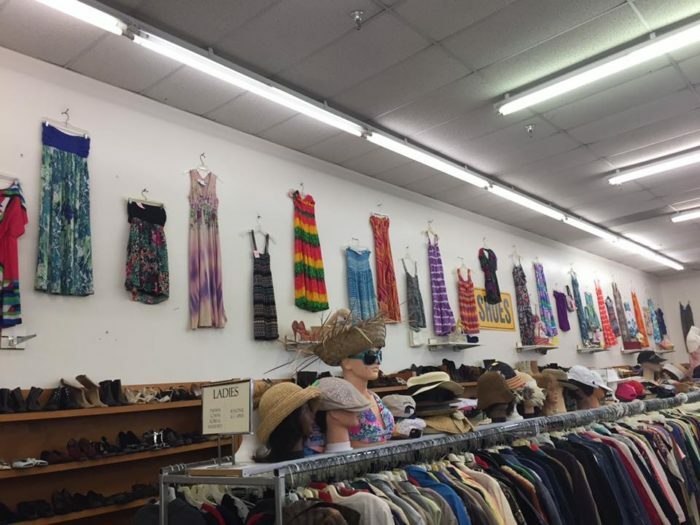 This thrift store happens to include an amalgam of items outside of just gently used clothes. You can find furniture, household items, and decor throughout, all at very affordable prices. 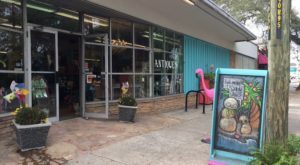 If you’re looking for some collectibles along your bargain hunter road trip, this is a good store to mix things up at. 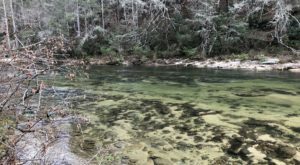 The address for Clothes Less Traveled is 459 GA-74, Peachtree City, GA 30269. We stayed a little central for this road trip in order to fit more thrift stores in. 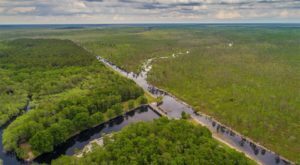 Do you have a thrift store in Georgia that wasn’t mentioned that you would like to see on a future road trip? Share with us in the comments section!